Today is Friday, so it’s another day that I get to share with you my love of clay and showcase some beautiful polymer clay items. I recently joined a group on Facebook, called the Polymer Clay Swap [2017 edit: this group is no longer active and has since been closed]. It’s a group of polymer clay artists & enthusiasts who love clay. They give a theme and then you sign up if you want to participate. This swap’s theme is a polymer clay journal cover. There are literally hundreds of journals made from polymer clay. I LOVE these polymer clay journals! Thanks for sharing Katie, and have a wonderful weekend! Thanks Trina. 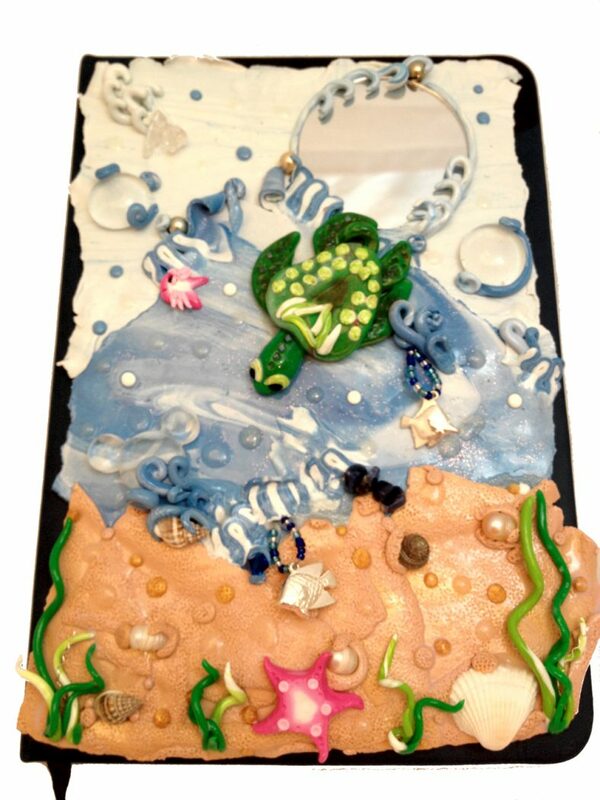 There are some very talented polymer clay artists making journals right now. These are just three of my favorites. Have a good weekend as well.